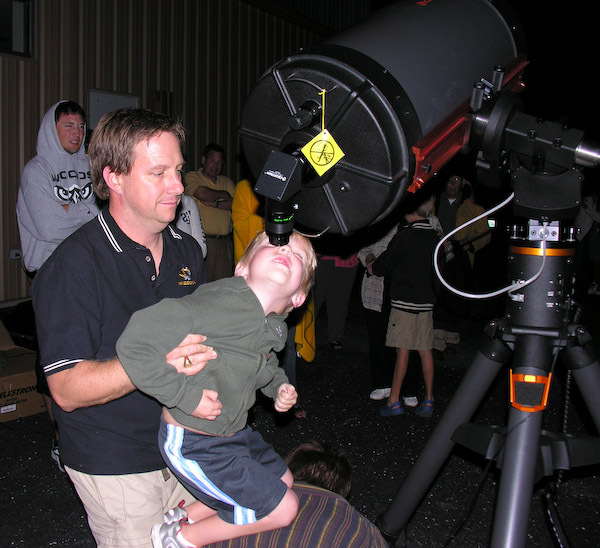 David Crane lifts up his 5-year-old son, Mason, to see Jupitor through William Woods University’s new high-power telescope during Professor Joe Kyger’s One Read presentation on stargazing, held Friday night at Crane’s Museum in Williamsburg. Fulton Sun caption, Mary Ann Beahon photo. 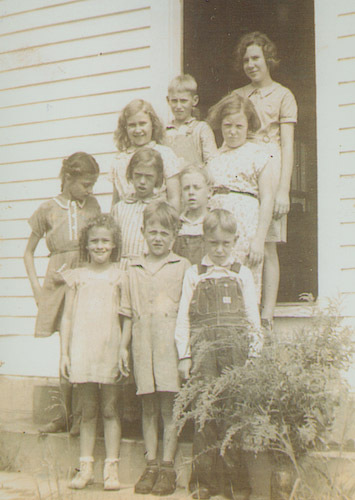 Local author Betty Cook Rottmann shared stories from her year teaching at a one-room schoolhouse in rural Missouri in 1941. As young woman, Betty moved from her urban life in Kansas City out to the country to teach for a year near the home of her boyfriend Leroy Rottmann. She wanted to test herself and find out what life was like in the country. An appreciative audience listened while she read them her story, filled with charming anecdotes like the story of how her wedding dress became the whole town’s business. Making her own dress, Betty needed 14 yards of lace and asked the local store to order it in for her. She was startled to discover that her package, coming in from New York City, was extraordinary enough that the whole town knew when it arrived. Over 200 people showed up last Wednesday night at William Woods auditorium in Fulton to hear about the working lives of horses in America 1880-1920. 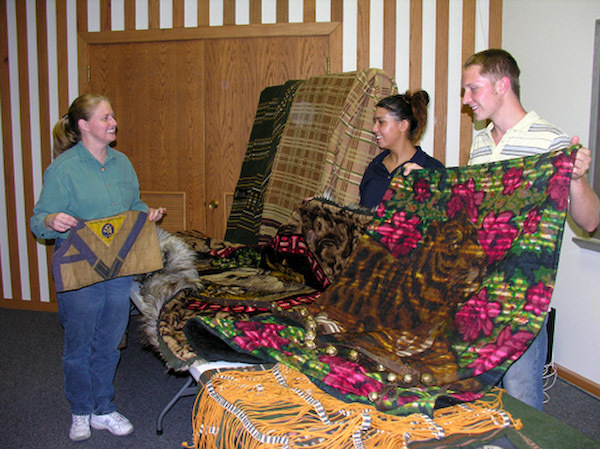 Equine instructor Laura Ward showed off some lovely horse blankets and sleigh bells. She also brought along great old photos of horses being used for all kinds of work. The Boonslick Chord Busters and the Sweet Adelines chorus performed music from the era of “The Whistling Season” at a One Read concert at Columbia’s Cherry Street Artisan. A good crowd of readers came by the Columbia library and William Woods in Fulton to talk to One Read author Ivan Doig. The author said he draws on his early years growing up in Montana and his career as a journalist in Illinois. Doig also answered lots of questions and even read an excerpt from his novel in progress which is a sequel to “The Whistling Season.” In the scene Doig read, Morrie is working in a library in Butte and encounters “Rabrab,” one of his students from Marias Coulee.